Guests at the sold out September 2017 Vegan Social Pop-Up Event enjoyed delicious food + beverages and private shopping at OFFSITE's curated concept store. On September 7, 2017, Vegan Social Events, created by Love Wild Live Free, hosted an exclusive vegan pop-up event that brought together influencers, media makers and the local vegan community. 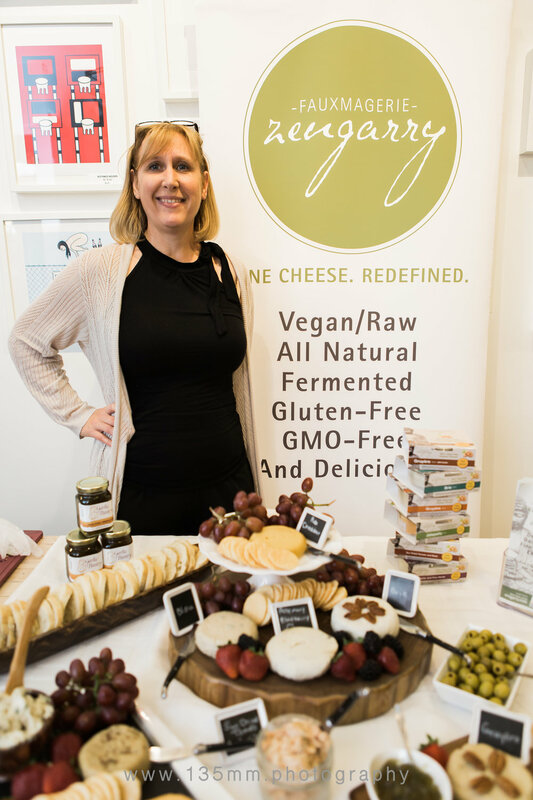 Guests enjoyed complimentary food + drink tasting items and went home with swag bags jammed-packed with amazing vegan goodies! 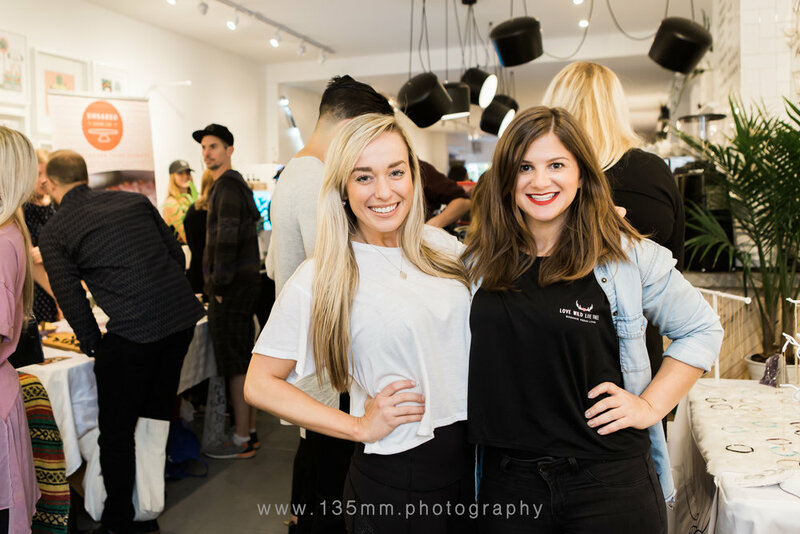 The added element of a pop-up private shopping event was well received by guests who browsed ethical and sustainable clothing, accessories and vegan fair trade cosmetics. Our food and drink vendors also had take-home items available for sale. The Two Market Girls shared this awesome video recap of the Toronto Vegan Social Pop-Up Event! Make sure to subscribe to their YouTube channel for quick and delicious vegan recipes that anyone can make and anyone will love! Photo highlights from the event have been included in this album. You can view the full photo album from this event on Facebook! Please credit the individual photographers (noted in the description of each photo) when sharing and/or using these photos. Guests mingled with inspirational, vegan influencers who are all game-changers, trendsetters and leaders the vegan world! We were very excited to have had the following influencers in attendance at this event: Lauren Toyota of hot for food, Dominick Thompson of Crazies and Weirdos, Jacky Wasserman of BEETxBEET, Anne-Marie Campbell AKA the Meat Free Athlete and creator of Shirt Activism Apparel, Candice and James of the Edgy Veg, Lisa Le AKA the Viet Vegan, and vegan influencer and activist Alex Ciccone. In addition, we had special guests, Aaron "Aaron A" Bertrand who is an award winning director and proud Toronto vegan, Plant Trainers, Devin & Katherine of Two Market Girls, award winning music producer and vegan activist ZALE, Kristy LaPointe AKA Plant Based Kristy, Stacey Ottman of Cured By Plants, and many more. Wheatless and Meatless offerings from Kupfert & Kim. Photo by: 135mm Photography. Delicious vegan artizan cheeses by Zengarry Fauxmage. Photo by: 135mm Photography. 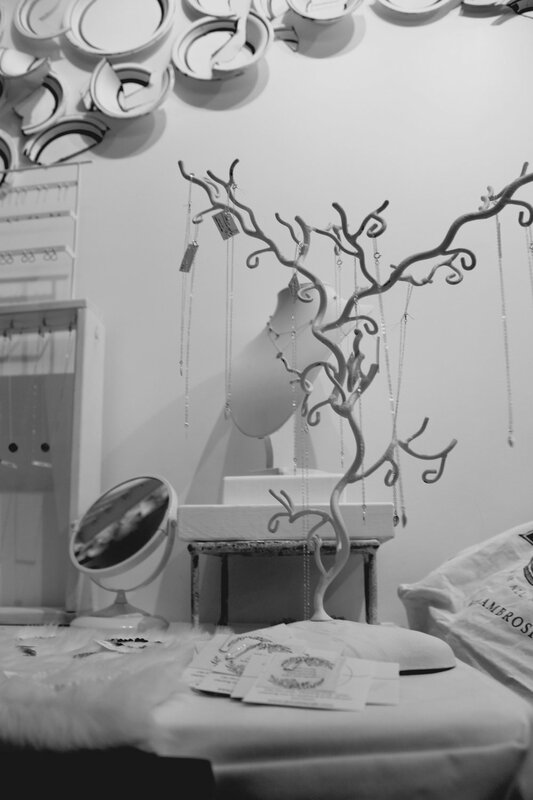 A selection of sustainable, eco-friendly and cruelty-free products that are all of the highest quality were showcased at the Pop-Up as part of this private shopping event. 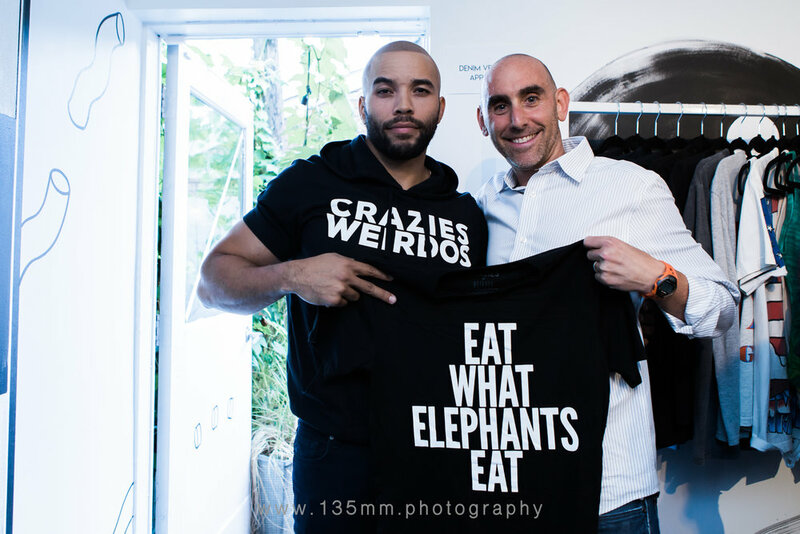 Dominick Thompson of Crazies and Weirdos and Adam Chaim of Plant Trainers. Photo by: 135mm Photography. Anne-Marie Campbell AKA the Meat Free Athlete and creator of Shirt Activism Apparel. Photo by: 135mm Photography. Jewels By SJB. Photo by: Kristy LaPointe + Plant Based Kristy on Instagram. Guests went home with incredible swag bags, jam-packed with vegan goodies! The swag bags included food, beauty and skincare products, fitness class passes, product vouchers, and more. Reusable, cloth shopping bags generously provided by Ambrosia Natural Foods! Photo by: Kristy LaPointe + Plant Based Kristy on Instagram. Some of the amazing vegan goodies that were included in our fabulous swag bags! Photo by Love Wild Live Free. Guests at the Vegan Social Pop-Up Event had the opportunity preview the Love Wild Live Free Apparel Collection, a partnership with Shirt Activism, an awareness clothing company and everyday activism that's incredibly effective at starting great conversations and planting seeds. All of the pieces feature sustainable material (including organic options), made with 100% no-sweatshop manufacturing in the USA and printed using water-based, eco-friendly ink. I am so excited to announce that the winner of the The Crop Top - a super cute crop T from the Love Wild Live Free Apparel Collection is Charny B.! Thanks to everyone who entered the giveaway. Thank you to everyone who helped make this event a success! I love and appreciate all who were involved. It was so inspiring to see so many great people from our vegan community come together for the evening.